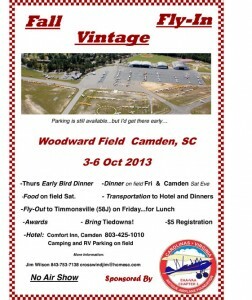 Jim Wilson from the Carolinas-Virginia Antique Airplane Foundation (VAA Chapter 3) just sent us a copy of they July-August newsletter and a flyer for their October 3-6, 2013 Fly-In at Woodward Field, Camden, SC. 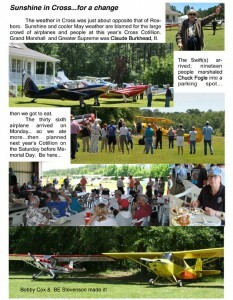 Click on either image below to view the entire newsletter and the information on their fly-in. Want to share your Chapter news with a wider audience? Use our Contact Us form our our Calendar Submission form to send your Chapter information to Vintage. We will gladly publish your news and information.